Oldbury Academy is delighted to welcome Mr Brittle as the schools’ Community link. 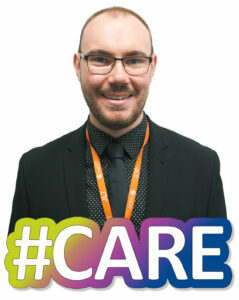 One of Mr Brittle’s main responsibilities is to oversee the work our staff and students do within our local community. Since being in post, Mr Brittle has been lucky enough to meet several members of our local community to identify areas and projects that our students can be a part of. Mr Brittle has spent time meeting with representatives from West Midlands Police, National Express, Barlow Homes, Sandwell Local Authority and local shopkeepers to ensure that our students represent themselves, and our school, in the best possible way. We have 1500 students who we are extremely proud of, and we want to ensure that our local community see for themselves, the high standards of Uniform, Respect and Behaviour that we expect in school. Mr Brittle is often seen in the local area talking to local residents, shopkeepers and parents promoting our positive message and achievements and also ensuring that our students represent us in the way everyone would be proud of. Please contact Mr Brittle, via the school office, if you would like to speak to him about students in our local community. We would love to hear, and share, some really positive stories. PC Jones is our local community link officer. 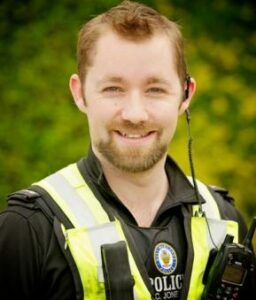 PC Jones has worked with Oldbury Academy now for a number of years and is available to talk to every second Thursday. Mr Brittle is PC Jones’ main link in school and will point you in the right direction if you want to talk to PC Jones. It is important that all students have access to a West Midlands Police representative, to ensure a positive working relationship between students, staff, police and parents.